The prices are orientative, with the usual reductions for bulk orders, distributors, etc. If you find any of the texts of interest and wish to receive them, send what you can. No amount is too little—or too much. Obviously, the less time spent procuring the necessary means, the more could be spent making available material that might be useful to us all. So it’s also up to you. It goes without saying that books and pamphlets will be sent on request to those in the clutches of State repression. In Europe, Elephant Editions are distributed by Active Distribution. In the United States, Elephant editions are distributed by AK Press. 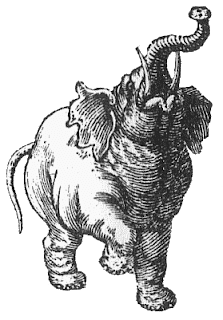 In Italy, Elephant Editions are distributed by Edizioni Anarchismo. Other distributions please get in touch.